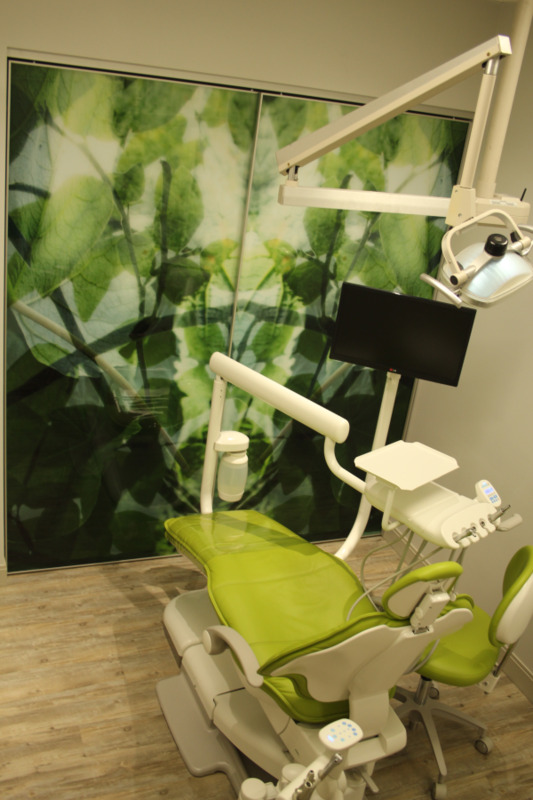 Brush Dental Clinic is a Vancouver-based dental office devoted to restoring and enhancing the natural beauty of your smile using conservative, state-of-the-art dental care procedures that will result in beautiful, long lasting smiles! Led by Vancouver dentists, Dr. Victoria Wong & Dr. Mike Chen, we are proud to offer patients general dentistry services such as exams, cleanings, x-rays. As well as restorative and cosmetic dentistry services such as teeth whitening, porcelain veneers, dental implants, Invisalign®, composite fillings, crowns (caps), bridges, and root canals. We have two office locations to serve you in Vancouver and are open Monday-Friday as well as 2 Saturdays a month. A high standard of excellence enables us to provide the quality dental care services our patients deserve. We provide comprehensive treatment planning and use restorative and cosmetic dentistry to achieve your optimal dental health. Should a dental emergency occur, we make every effort to see and care for you as soon as possible. As a Vancouver, BC dental practice, we are true believers that preventative care and education are the keys to optimal dental health. We strive to provide “dental health care” vs. “disease care”. That’s why we focus on thorough exams – checking the overall health of your teeth and gums, performing oral cancer exams, and taking dental x-rays when necessary. We also know that routine dental exams & cleanings, brushing & flossing, sealants, and fluoride are all helpful in preventing dental disease. Not only are we focused on the beauty of your smile, we’re also concerned about your health. A review of your medical history can help us stay informed of your overall health, any new medications, and any illnesses that may impact your dental health. Infection control in our office is also very important to us. To protect our patients and ourselves, we strictly maintain sterilization and cross contamination processes using standards recommended by the College of Dental Surgeons of BC (CDSBC), the Canadian Centre for Occupational Health and Safety (CCOHS), and the British Columbia Centre for Disease Control (BCCDC). Infection control is an important part of any health care practice. For the safety of our patients and staff we observe the strictest guidelines possible. You will notice that all clinical staff wear facemasks, eye protection, and change gloves between every patient. All instruments and hand pieces are sterilized according to approved methods. The treatment rooms are sanitized for every patient, maintaining the optimum in asepsis for every visit. Protecting you is a priority to us. If you have any questions regarding our infection control policies, please ask. As your dental health professionals, Dr. Victoria Wong & Dr. Mike Chen want you to be confident knowing that we are a team of highly trained and skilled clinicians. We pride ourselves in providing the care you need to keep your smile healthy. To give you the best possible service and results, we are committed to continual education and learning. We attend dental lectures, meetings, and dental conventions to stay informed of new techniques, the latest products, and the newest equipment that a modern dental office can utilize to provide state-of-the-art dental care. Also, being members of various professional dental associations helps us to stay abreast of the changes and recommendations for our profession. Building a foundation of trust by treating our patients as special individuals is vital to our success. We understand how uneasy some patients may feel about their dental visits, and how we can make a difference in providing a relaxing and positive experience. Our entire team at Brush Dental Clinic is dedicated to providing you with excellent, personalized care and service to make your visits as comfortable and pleasant as possible. Privacy of personal information is an important principle in the provision of quality dental care to our patients. We understand the importance of protecting your personal information. We are committed to collecting, using and disclosing your personal information responsibly. We comply with the privacy legislation - the Personal Information and Protection and Electronic Documents Act (PIPEDA).